Marco and Alice will guide you through a “blind” tasting of great Tuscan wines, without getting side-tracked by bizarre fragrances and boring technicalities. You will describe wine as a season, a landscape or an animal while using the Wine Lovers Academy “board-game” to compile your wine tasting notes. When you reveal what you have been tasting you will realize how simple it is to understand wine. Let the challenge begin: who will guess what their glass is going to tell them? 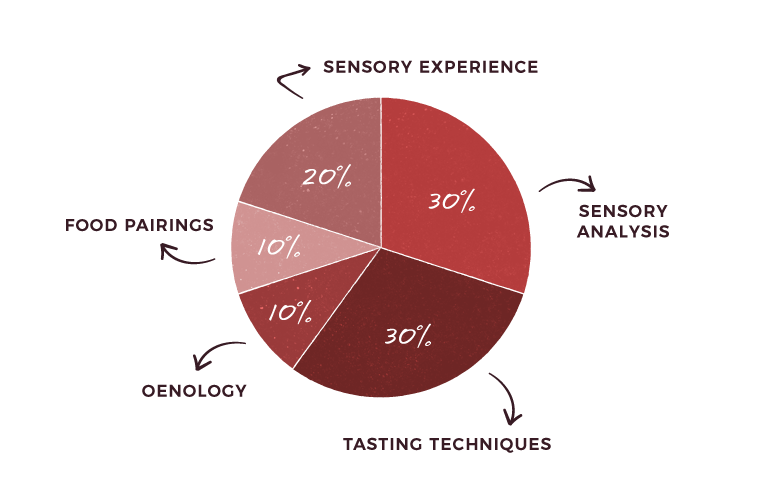 We will begin by “warming up” your perceptions with a sensory workshop developed by Wine Lovers Academy. We will then analyze 2 Tuscan red wines with different characteristics. You will discover that tasting wine can be more enjoyable than simply drinking it. You can play with senses and reveal your hidden talent as a true taster. You will learn a new way to “stay on the glass“, playful and affordable for everyone, to experience and share with your Wine Lovers friends. Yes, during this lesson we will only taste red wines. Will you taste only Tuscan wines? No, in this lesson we will taste both Tuscan wines and wines from other Italian regions. tasting, we will not serve any food. For those who wish breadsticks will be available. Absolutely yes! This lesson is designed especially for you! I am a discreet wine connoisseur, will I find the lesson interesting? Surely! We propose a stimulating way “to read wine”, it’s for everyone. If you have already a trained palate, it will be fun to play with different rules. The Wine Lovers Academy overlooks a pedestrian square, where it’s possible to sit and play. We also have a very good artisan ice-cream shop just a few meters from us. And there’s also the Wine Lovers Bar, where the over 12 can eat something and use the Free Wi-Fi.